Submission involves doing what is right in the Lords sight and adds to your husband’s godliness. This brings me to the women in the Bible who contributed to the downfall of their husbands because they did not do what was right before the Lord. Pleasing their husbands and doing what pleased them took the center stage. Jezebel was one woman who contributed to Ahab’s downfall. Under her influence, the Bible recounts that He forgot the Lord and did was despicable before Yahweh. In the end, Ahab died, and Jezebel died a more painful death. Ananias and Sapphira, in Acts 5:1, conspired to keep part of the money that was to be taken to the temple. Now a man named Ananias, together with his wife Sapphira, also sold a piece of property. With his wife’s full knowledge, Ananias kept back part of the money for himself, but brought the rest and put it at the apostles’ feet. They both suffered the consequences of their sins with death. Sapphira was his reproach, not his crown. A virtuous woman is crown to her husband. Are you your husband crown or his reproach? At the end of the day, your submission should be as unto the Lord. Your husband doesn’t replace Christ. You should not be a willing participant to do what is wrong in the Lords sight. What if your husband demands of you to do what is wrong? That affirms his position as a head, but doesn’t replace Christ’s position in your marriage. Remember that you are committed to someone larger than your husband or your marriage. Marriage is just an aid to help you achieve your God given purpose. 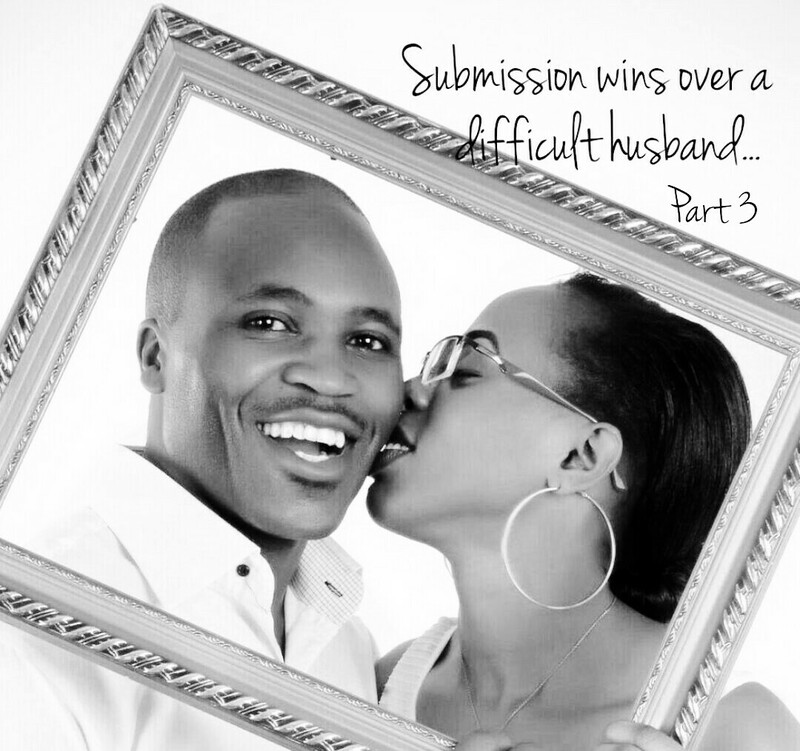 Submission involves “FIGHTING the sin”, not your husband. Well, we all want someone who has his full reliance on Christ, but what if he is unrepentant or stubborn? Do you attack him or the sin? And if you attack the sin, how do you go about it – lest you sound like an evangelical minister in your house. One whose job is always to condemn. We all desire to see change in our spouses, but being too upfront will not help. Fight the sin, not your husband. The next morning Nabal wasn’t drunk anymore. Then his wife told him everything. When she did, his heart grew weak. He became like a stone. About ten days later, the Lord struck Nabal down. And he died. She told him about his insubordination to the King and how it almost cost their lives. In the end, Submission is a compass getting its true North from the Lord first. The will of the Lord supersede anything else. Your husband is not God and his decisions should lead the family into Holiness. Submission doesn’t mean that you are insubordinate, small or you shouldn’t voice your concerns, but it should be done in a manner that appealing to your husband and what my husband likes to always say – it should be palatable. Everyone can be difficult, but bashing him, scolding him or extorting him to be Holy like your Pastor will not do anything much. You win a difficult husband with your own actions and what you do to him and for him. Your beautiful soul will be enough to preach to him that indeed there is love. A Christian wife’s behavior should be so beautiful that it attracts her difficult unrepentant husband to only Savior Jesus Christ. Ask yourself dear wife, is your behavior at home and around your husband or to your husband enough to preach that indeed love conquers all?